Network and grid components are saved to txt or csv files. Check the item that are to be saved. 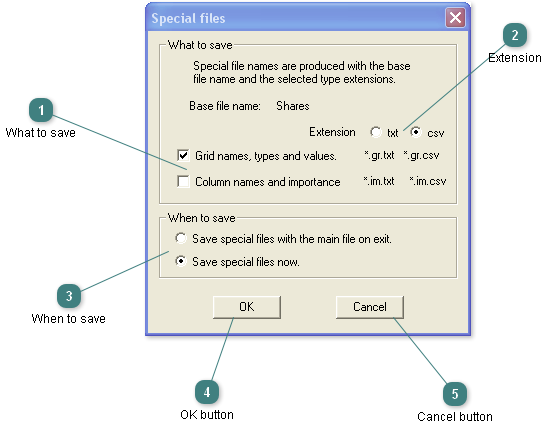 Press OK to accept the setting and close the dialog. Press Cancel to reject the setting and close the dialog.